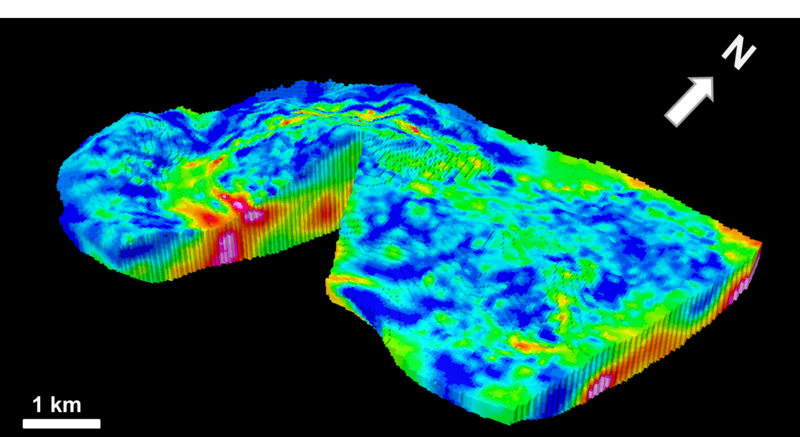 An ORION 3D survey, covering an area of 4 sq km, can be completed in only 3 weeks and provides the most sophisticated electrical imaging of the subsurface possible. 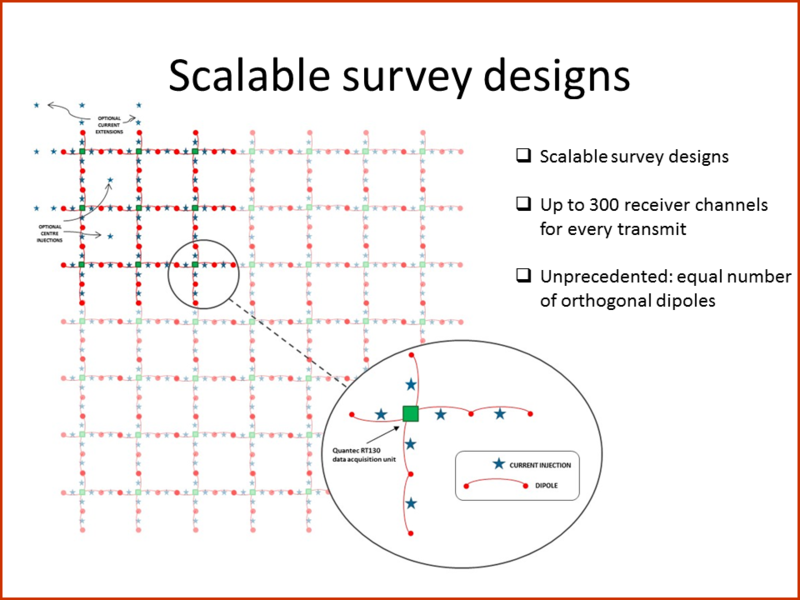 There are virtually no limitations to the configuration of an ORION 3D survey. 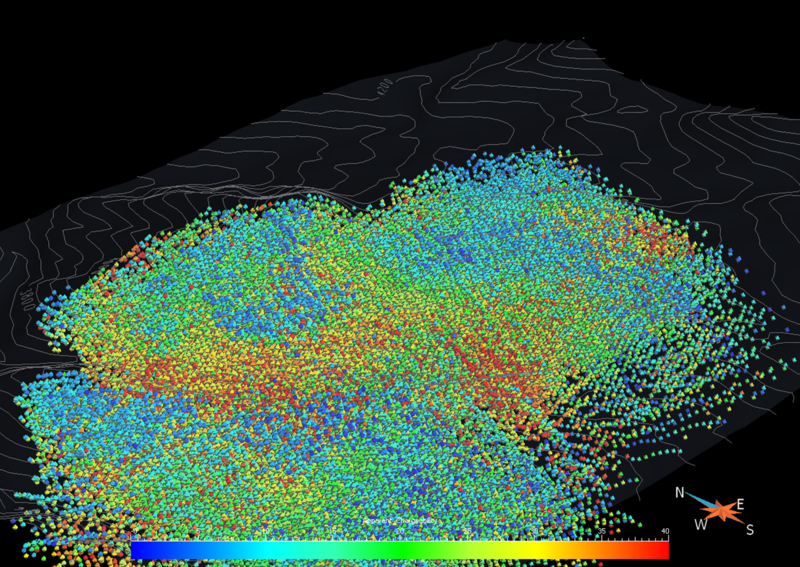 A survey covering an area of roughly 2 km x 2 km will provide deep 3D information to a depth of 2 km. What is ORION 3D ? 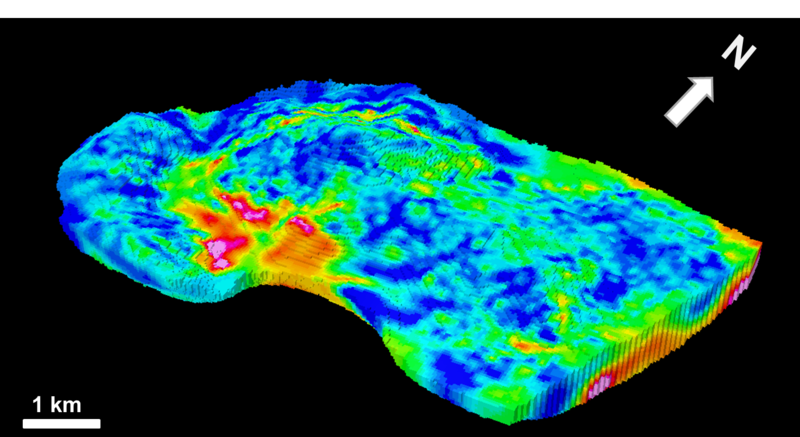 ORION is a highly flexible 3D ground geophysical survey that can mobilise anywhere, is unlimited by terrain and other surface conditions, and is perfectly suited to explore in sensitive areas. 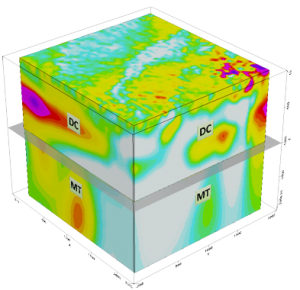 ORION 3D collects three sets of data in multi-directions – DC Resistivity, IP (induced polarization) to depths of 800 m, and deep MT resistivity to depths greater than 2000 metres. ORION 3D is the leading REAL 3D ground geophysical survey. The design of the survey allows for complete omni-directional coupling with geology, structure and mineral systems in the subsurface. 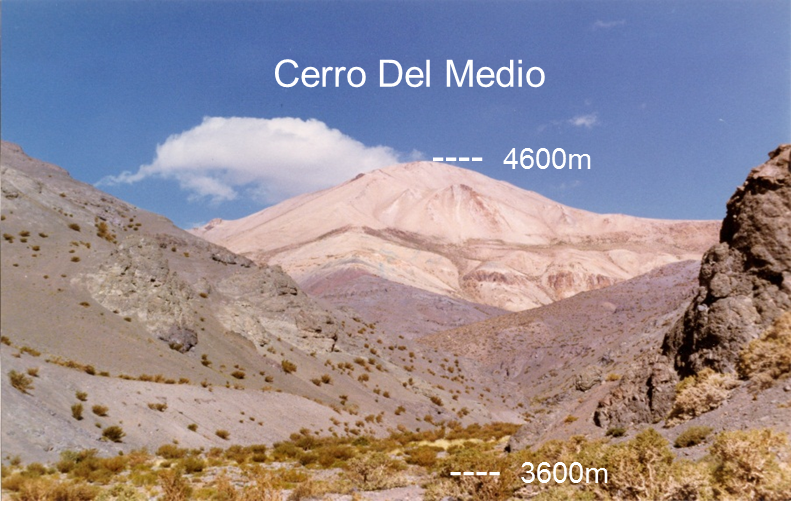 This ability to measure in all possible directions means the system provides information on all possible orientations of subsurface structure and mineralisation. 3D surveys have no imaging bias imposed by survey geometry as can occur with traditional 2D. 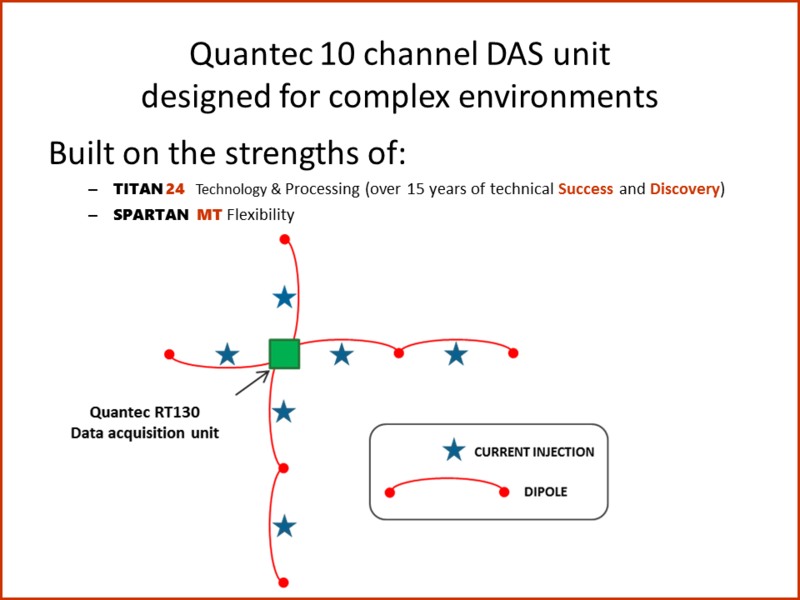 Quantec’s ORION 3D technology collects data along multiple lines and in multiple directions. The system collects more than 200,000 data points per survey. 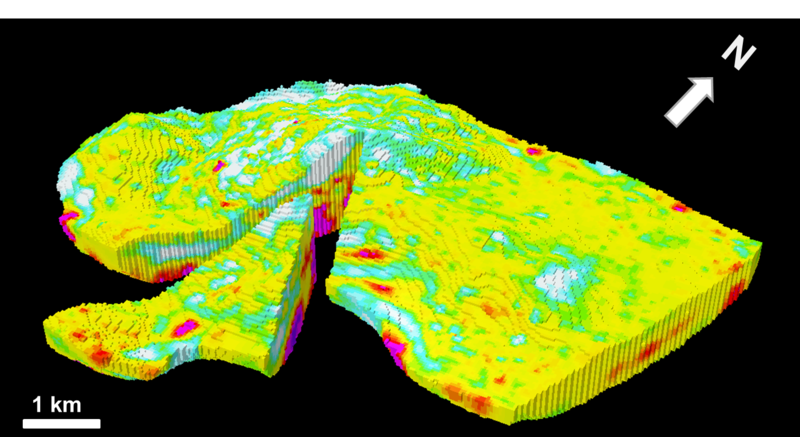 With more data and omni directional data the derived 3D images offer thorough exploration prior to drilling. ORION 3D uses core features developed through the evolution of the TITAN 24 system. Independently distributed receivers offer maximum flexibility for ORION 3D survey layout and design. A grid of receivers, which are responsible for a variety of functions are deployed in a grid. For the IP survey the current is then deployed throughout the grid. Each current deployment (injection) is received across the whole grid by all the receiver dipoles at once. The current moves throughout the grid until full coverage has happened. The DCIP is collected during the day and the MT is completed the same night, thereby providing rapid data collection across the grid patch. 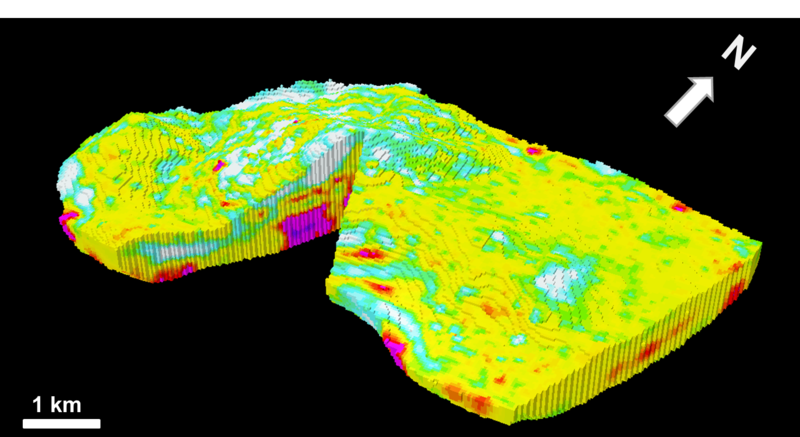 The ORION 3D DCIP & MT survey successfully mapped and characterised the known Hidden Hill mineralisation zone. This provided confidence in targeting during further follow-up on the Golden Arrow property. 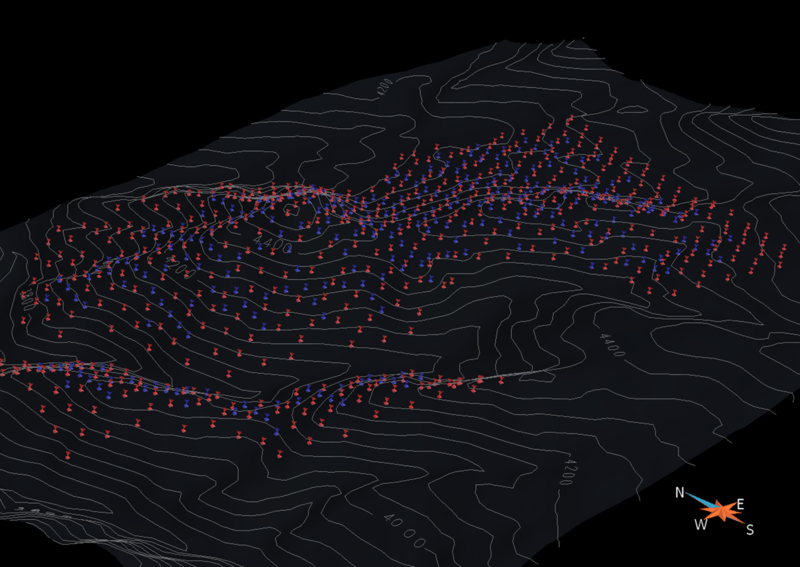 High resistivity iso-shells with confirmed drill results accurately mapped to 700 m.
The animated slides seen below show how the ORION 3D layout is completely flexible, covering the whole mountain top. 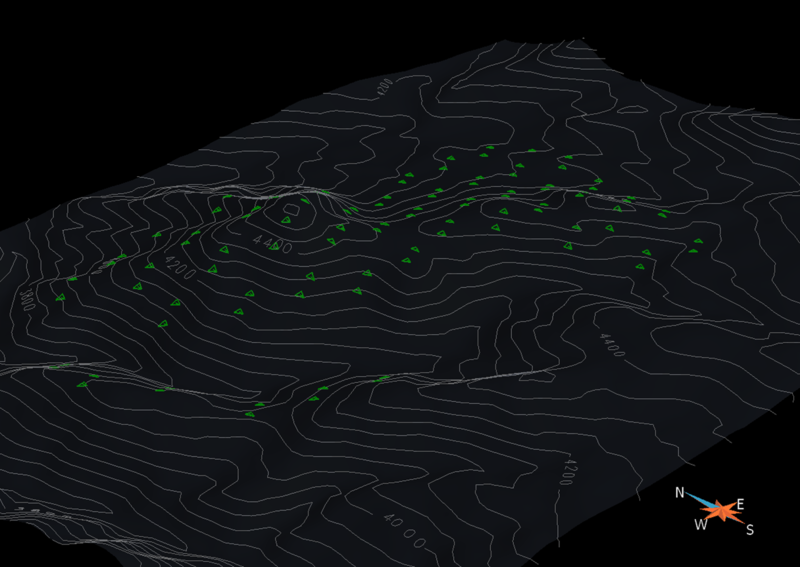 The 3D point data accumulated from the survey provided 3 parameters which included DC resistivity, IP and MT. 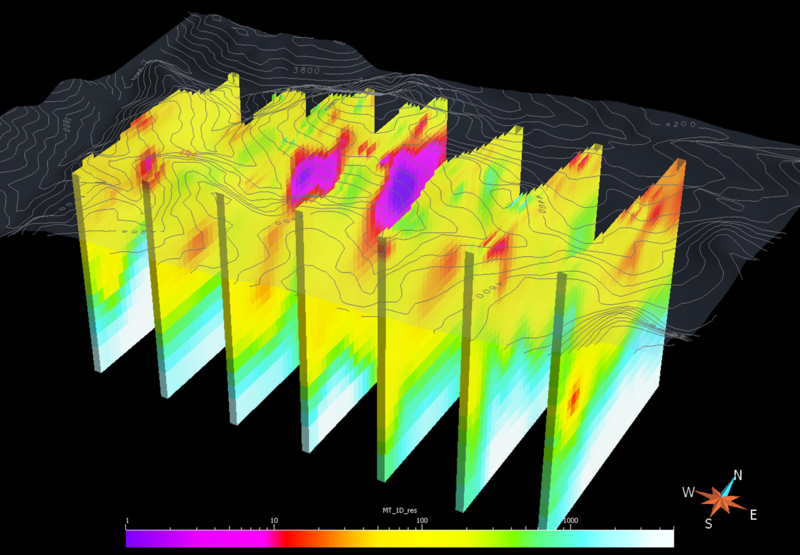 3D models were created utilising 3D inversion providing excellent imaging of the DC and IP down some 800m and the deeper MT down to 2000 metres. 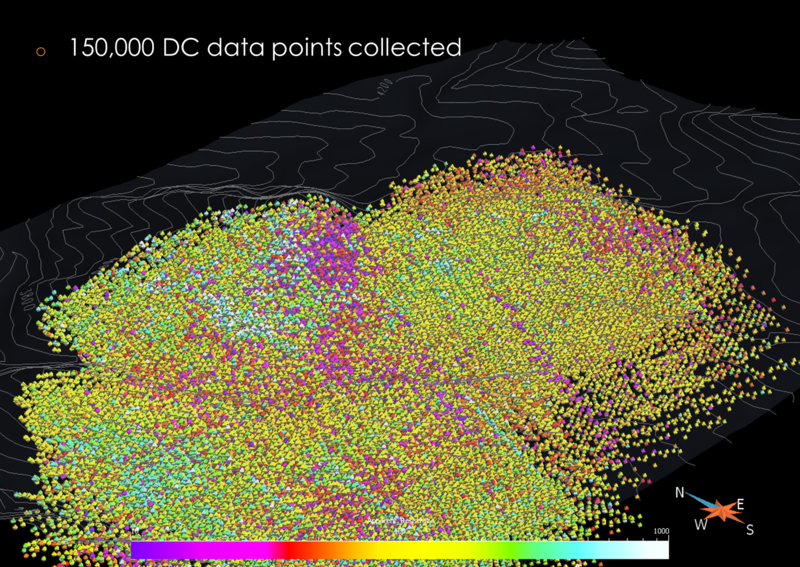 Not only are near surface to moderate depth targets revealed by the DC resistivity and IP but the deeper MT resistivity provides excellent depictions of the deep root of the system. 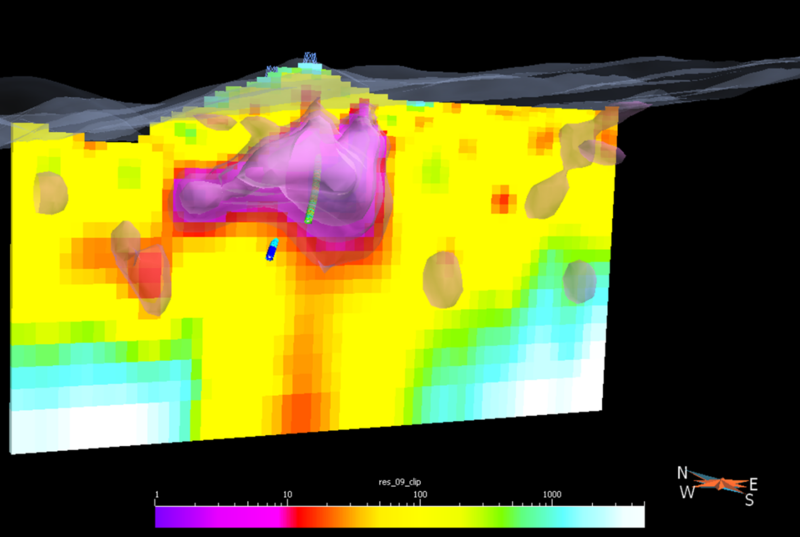 Deep chargeability 3D Model results from ORION 3D survey shows depth to roughly 800 metres. 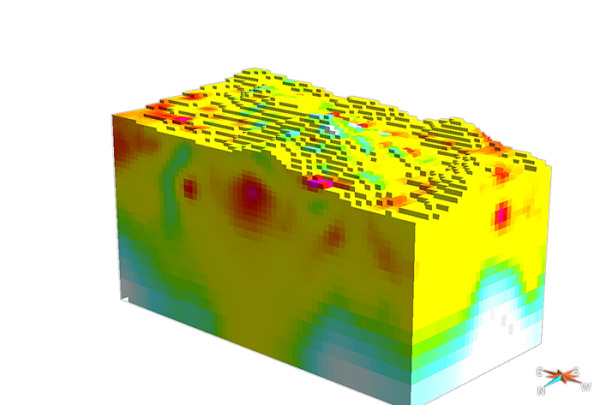 Note: excellent correlation with known sulphide horizon and barren holes drilled prior to the survey. 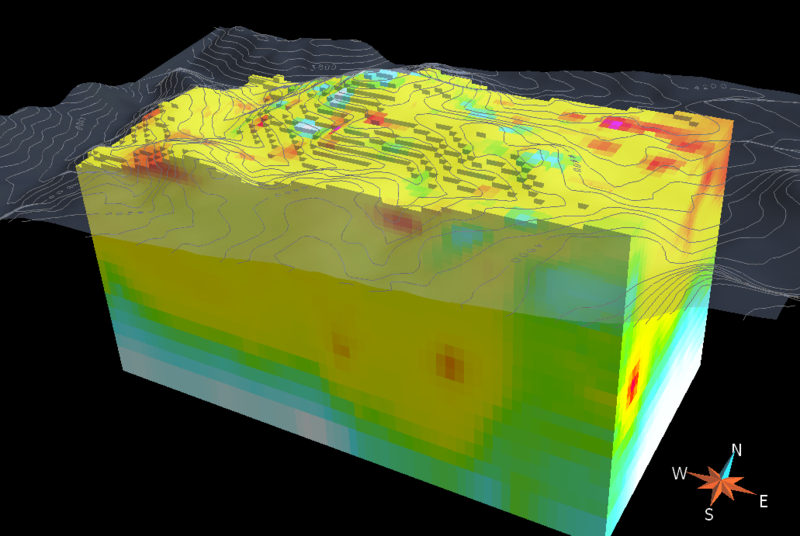 Consider an ORION 3D survey before your next significant drilling campaign. ORION provides several significant cost saving measures along with an increased likelihood of discovery and success. 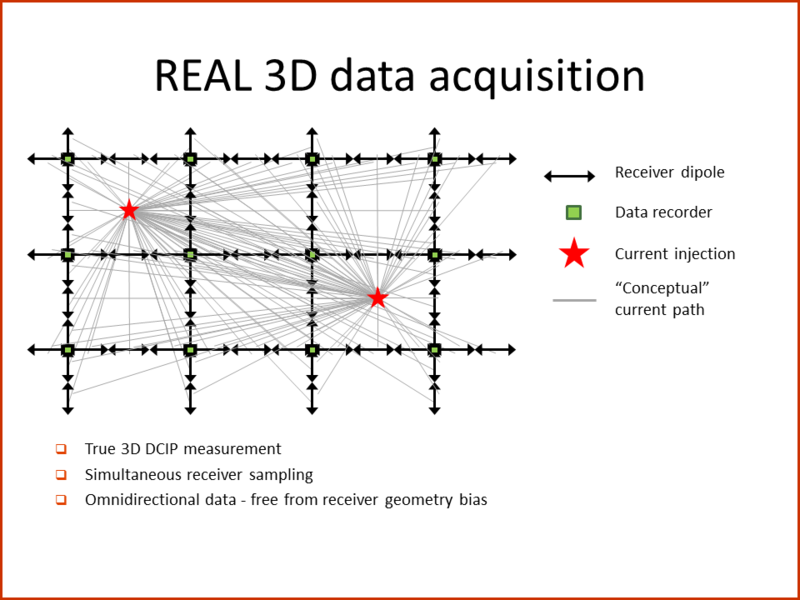 True 3D data acquisition to avoid uncertainties in the early stages of resource development. Know the size, shape (volume), vertical and lateral extent of the resource for greater certainty of results. So you know where to drill next or whether a property is worth further investment. Present better drill results for financing. 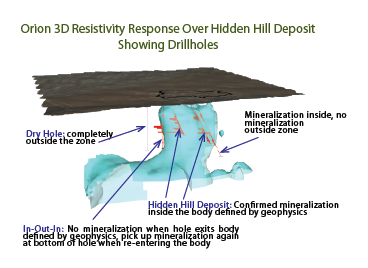 Accurate imaging of the subsurface will impact drill success in highly prospective regions. It will be easier to secure financing for further development. Drill more effectively. 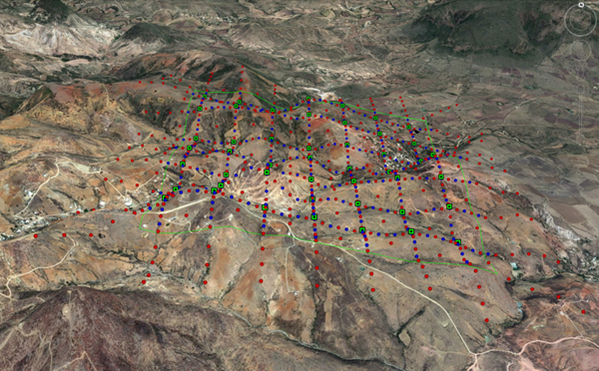 High-resolution data acquired in multi-directions gives you better detail than any other survey in the world. A complete picture before drilling helps you avoid unnecessary drill holes while focusing efforts on the most prospective targets. 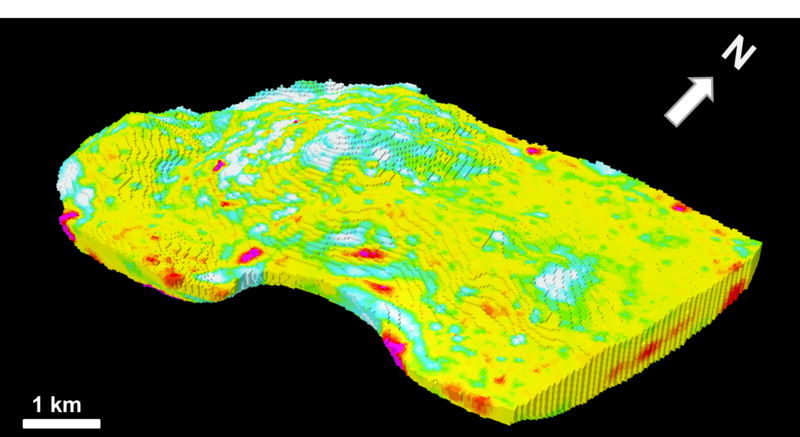 Quantec’s geophysical experts custom design each survey to overcome the challenges of your site and to give you the best possible view of your resources on the surface and to depth. Talk through your project and data with world-travelled geophysicists. 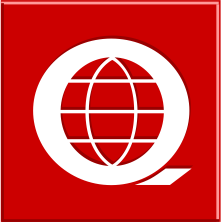 Call or email to ask Quantec geophysicists to look at your data set.